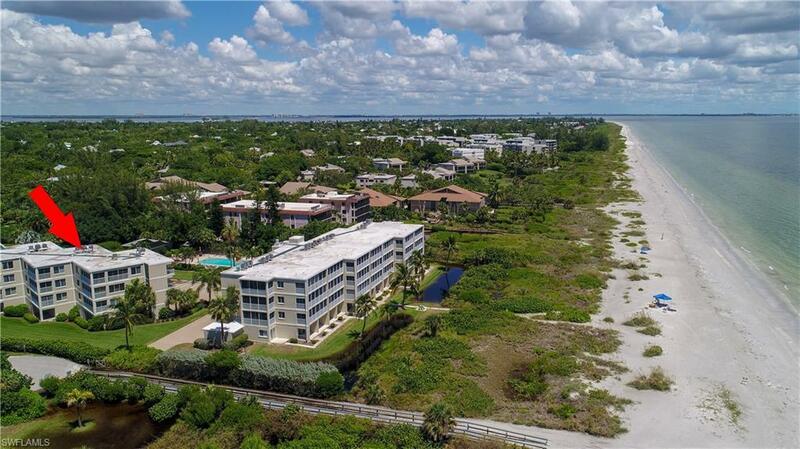 "Surfside Sunset is a truly rare and exceptional offering located in Sanibel Islands very desirable beachfront complex Sanibel Surfside. 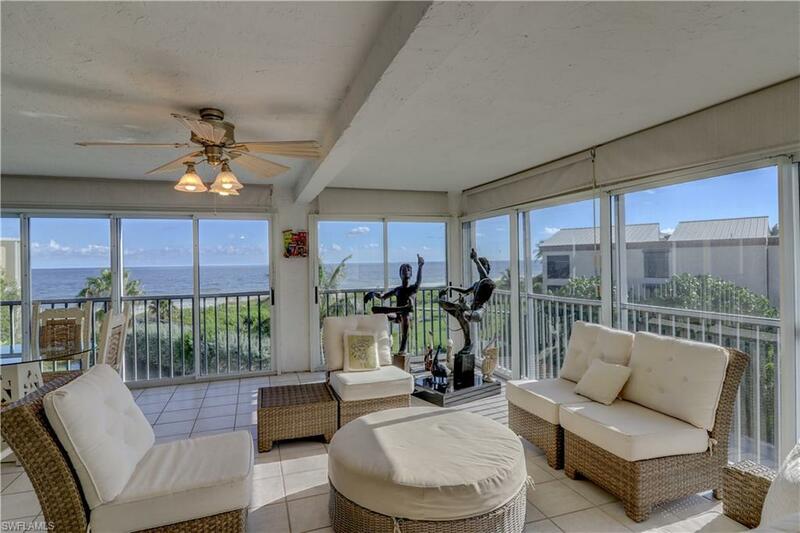 This one-of-a-kind "penthouse style residence is situated on the top floor of the gulfside corner of building #2, offering stunning south-westerly views over the Gulf of Mexico. Originally built as one large unit encompassing the sq. footage of 2 standard condos, the unique floor plan boasts 2728 sq feet of living area, including 3 en-suite bedrooms, very large kitchen, half bath, laundry room, abundant living and dining areas, and amazing gulf views from almost every room. Steps from the beach is the separate beachside cabana with bathroom and kitchenette, as well as 2 covered parking spaces and 2 exterior storage units. 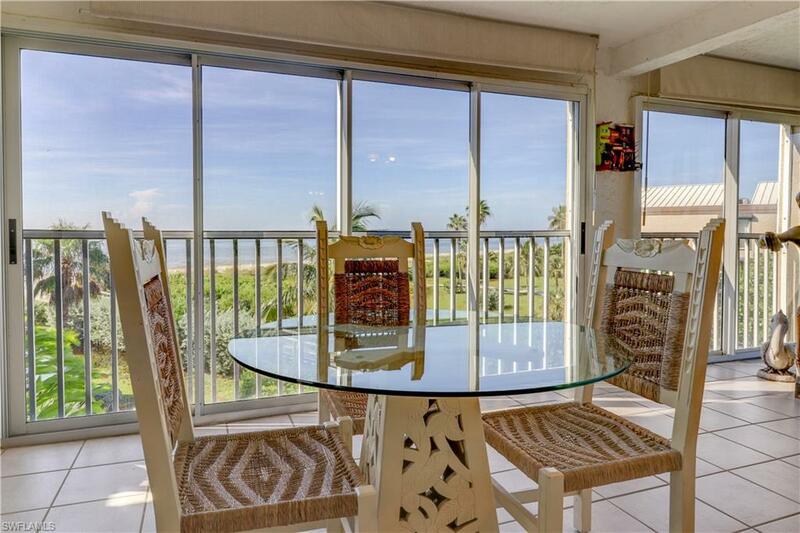 Sanibel Surfside offers a heated community pool and clubhouse, tennis courts, and shuffleboard. Investors!! 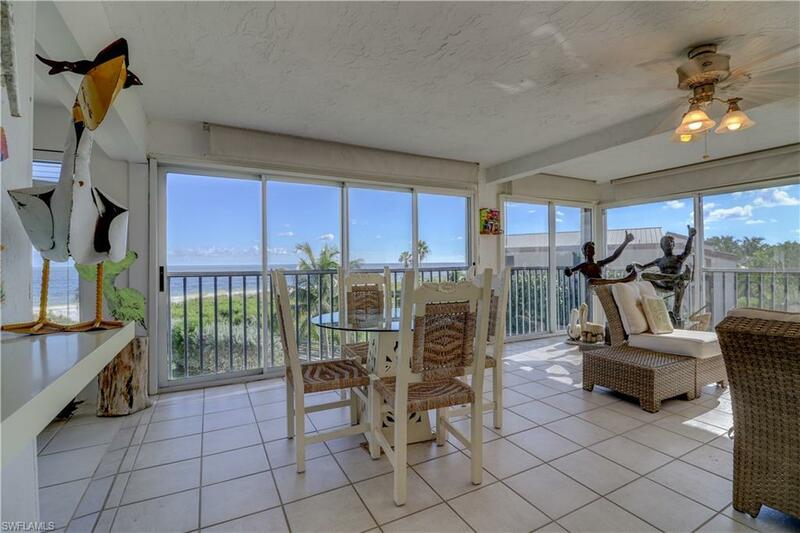 This condo performs exceptionally well as a vacation rental with income consistently over $100,000. Listing courtesy of Rob Pailes of Sbl Realty Group Llc.